Suitable for: Everyone aged 10 years and over. 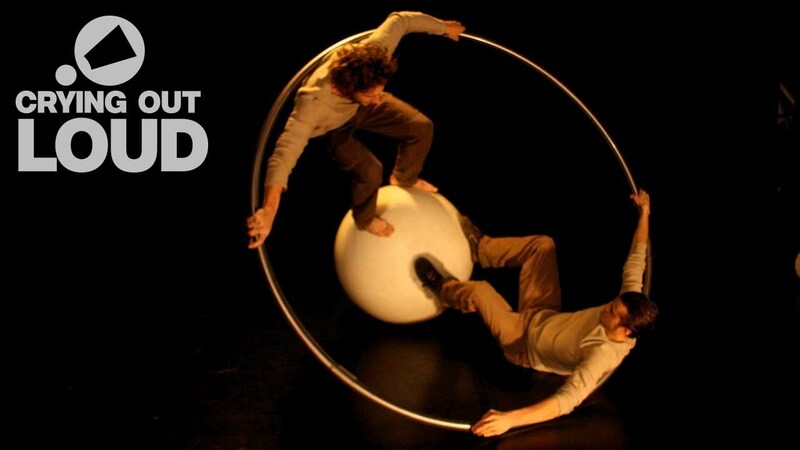 Two fearless young men compete in a thrilling game of physical endurance in this beautiful and original circus show. 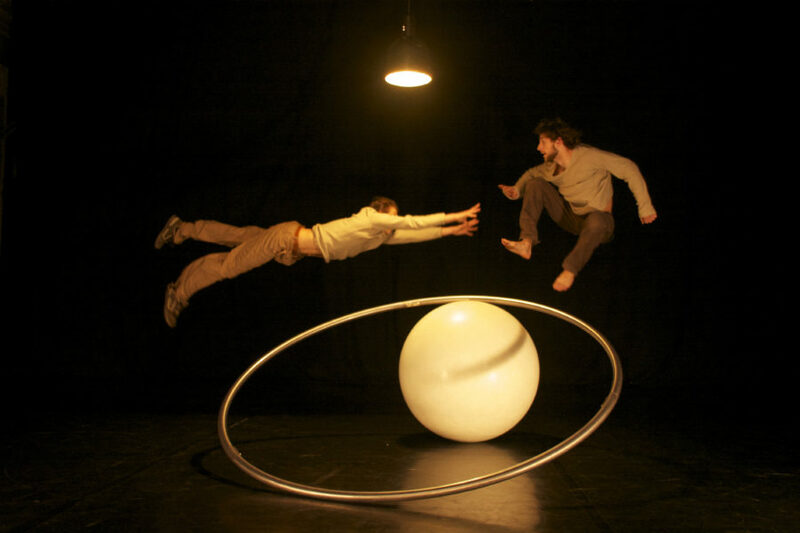 Defying gravity they perform amazing tricks, in perpetual motion with balls, spheres and a huge metal wheel. As the competition becomes more frenzied, the sense of danger increases as the two men leap higher, spin longer and faster. With unbelievable displays of agility, this dynamic duo will take you on an acrobatic journey full of endless surprises. Set to live music, Gasp! is a circus show of extraordinary physical finesse and great humour. The evening kicks off with the sinewy and skilful acrobatic duet Knot, performed by Nikki & JD, who are currently guest performing with British circus sensation Barely Methodical Troupe. Alessandro Maida and Maxime Pythoud met at the Ecole Supérieure des Arts du Cirque in Bruxelles (ESAC) where for three years they trained next to each other and developed a strong understanding. ESAC sent them to represent the school at CIRCa in Auch and following their training they continued to work together. 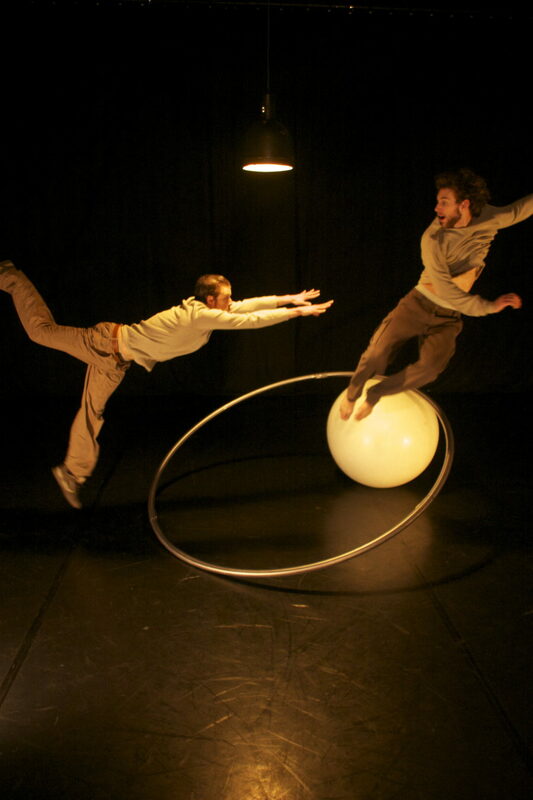 Premiering their first piece as Circoncentrique, Les voisins, to an enthusiastic response in 2010, they were encouraged to create Respire (re-named Gasp! for its UK tour). Nikki & JD are an acrobatic duo who have worked together for over 3 years. Nikki trained for 10 years as an artistic gymnast in Washington State, USA, and has since trained in hand balancing and duo acrobatics at London’s National Centre for Circus Arts (NCCA). 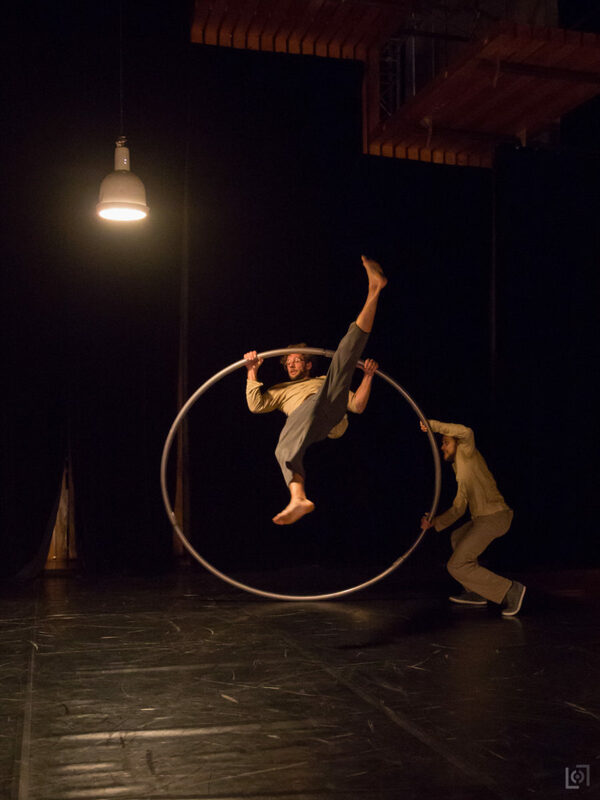 Jean Daniel (JD) Brousse has more than 7 years performance experience with companies including Roundhouse Circus Company and Square Peg Contemporary Circus. He studied for a BA (Hons) Degree in Circus Arts at the NCCA. 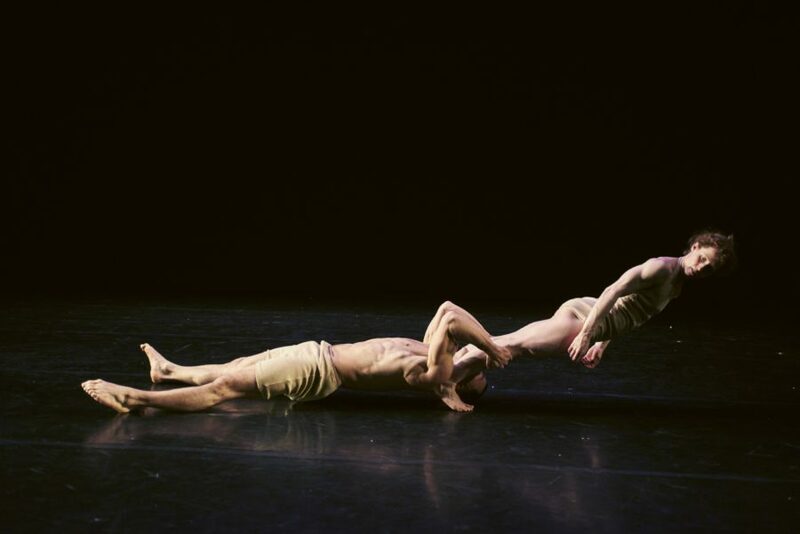 In 2016, Nikki & JD were mentored by Ben Duke to create Le Lien (now known as Knot), co-produced by Jacksons Lane and directed by Rosamond Martin, which premiered at The Place’s Resolution festival, London. 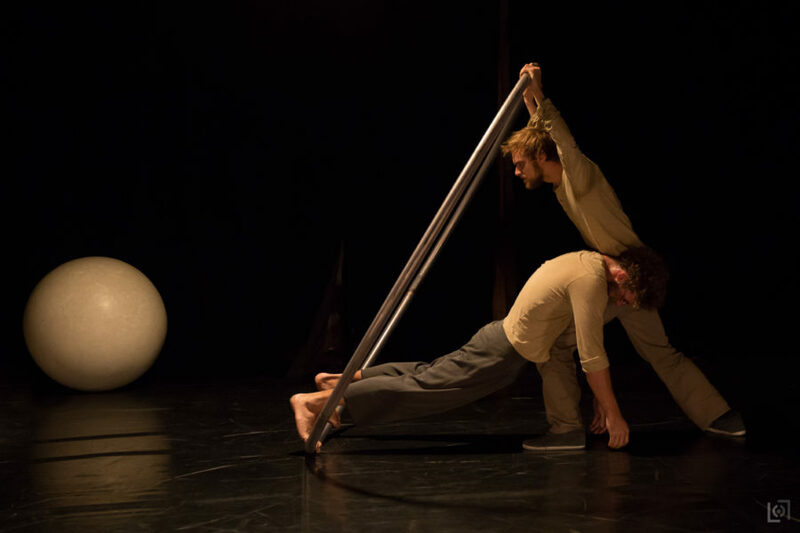 Knot was selected by Crying Out Loud to support Circocentrique’s show, Gasp!, for a November 2016 tour as part of Circus Evolution. 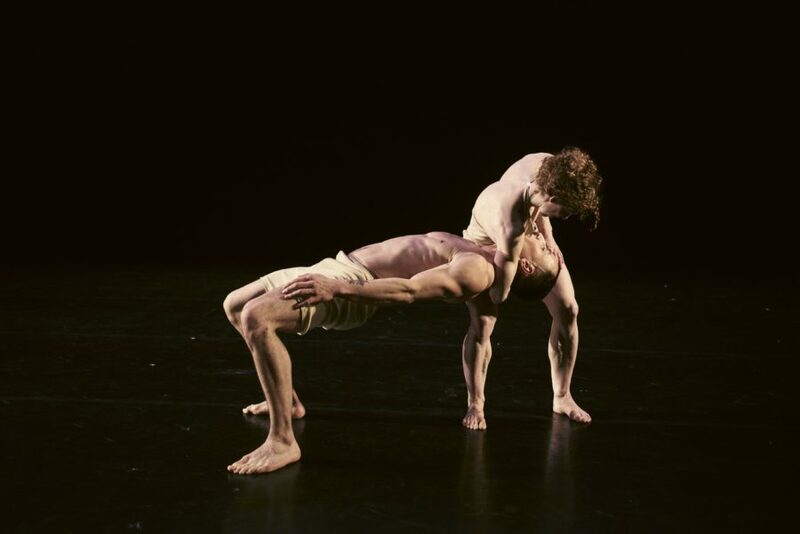 Nikki & JD performed with Barely Methodical Troupe in the critically acclaimed production of Kin, part of CircusFest 2016 at London’s Roundhouse. 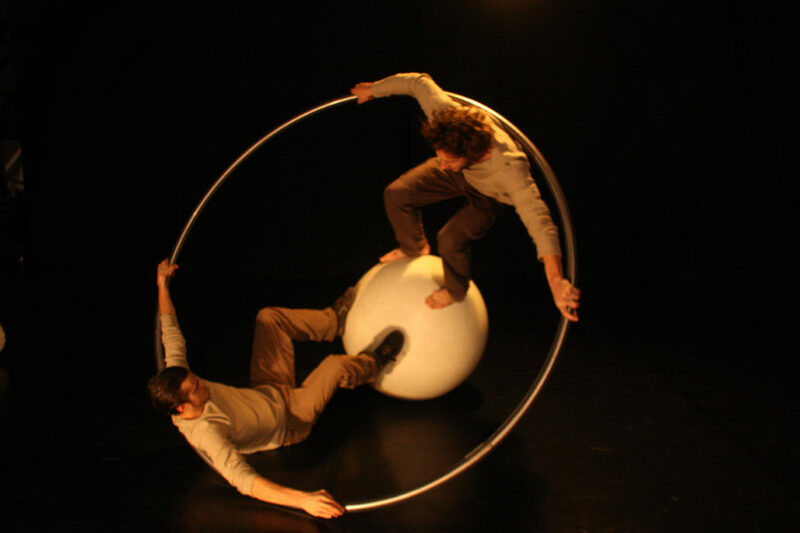 Other recent accomplishments include becoming finalists in the Circus Maximus competition at the Southbank’s Udderbelly and showcasing bespoke duets at the Canvas Showcase in May 2015 for programmers from across the UK. Prior to this, they performed in the 2014 national tour of Rime by Square Peg. Nikki & JD are Resident Artists at Déda through the Lab:time² programme from NCCA, and members of the Up and Out Network. A chance encounter between two acrobats; a frustrated lover and a jilted dreamer. This is the story of two hearts making sense of perfection. Knot is the invisible string that connects two people. Sometimes really strong, sometimes just about to break, it is the complex yet simple bond that we juggle with our whole lives. This piece follows the journey of individuals through the absurdity, joy and mundanity of making things work. Acrobatics, movement and storytelling combine to expose the hopes we hold for the ideal lover.